The above-quoted selection from Augustine’s City of God may or may not be among one of the classic passages engrained in the Western psyche. Not being an historian of ideas, I do not want to make too bold of a claim, though general trends might be observed even by the young philosopher trying to sound out some historical problems. A good Aristotelian or Thomist cannot help experiencing the lure of essences—even when they are ensconced in history. Hence, I turn to a trend, broadly construed, that can be seen in a famous dictum made by the Doctor of Grace, St. Augustine. As I have said before, much of the western medieval mindset was impressed by the intertwined relations between “throne and altar.” Whether one considers the Carolingian reforms or the tumultuous untwining that happened during the so-called “Gregorian reforms” of the 11th century,1 one thing is quite certain—temporal ends and spiritual ends were not very clearly distinguished. The factors at play are numerous, and while my remarks in an earlier article regarding the role of monasticism are, I believe, true for their own part, we must not simplify the matters. 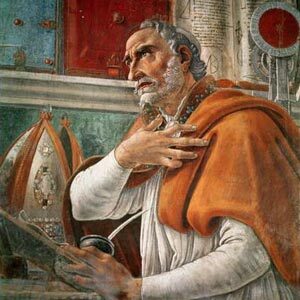 St. Augustine occupies an interesting point in Christian history, and we must be careful when we interpret him in light of the later articulations of theological science. The forms of Aristotelian science based particularly on the Posterior Analytics would shape the overall structure of Catholic (and by indirect influence, Protestant) theology. Even if the “scientific pretensions” of theology (a somewhat pejorative expression that I do not endorse) are today on hard times, the aspirational tendency of Christian thought toward some state of scientific elaboration remains like the reverberations of a former order. Even when humanity fell from grace, the order of fallen nature was forever marked with the reverberations of our first graced condition5—so too with theological thought. As applied to civil society, then, what does it mean for a religious person to contribute to public discussion? In the ecclesiastical order, it is unacceptable to have a pharisaical desire to wash one’s hands of a society that does not match the supreme beatitude of the Beatific Vision. 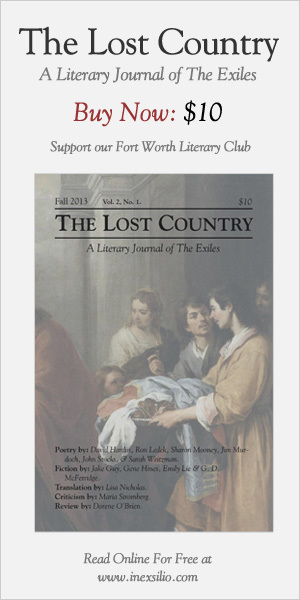 In via, even supernatural beatitude is incomplete beatitude. As applied to the order of public, political rationality, it is equally egregious to refuse involvement because the natural is not the supernatural and the political not the ecclesiastical. The old notion of “preambles of faith” apply primarily to those revealed truths that are presupposed by the supernatural order—just as nature is presupposed by grace (which elevates the former along its own lines as well). In an analogous sense, it might well be the case that in the face of radical cultural changes, Christian leaders will have to stress many natural truths that are overlooked by the public order. Certainly, this includes the topics of abortion and contraception. However, the post-Leonine papal encyclicals concerning the social order are a testimony to the Church’s condemnation of the modern economic-political order—not for being economic-political but for failing to be such in line with the true exigencies of human nature, meaning nature with its full ontological density, its full distinction and finality—a finality that is directed toward and perfected by the supernatural but is not equivalent thereto. It is a condemnation of civil and cultural society insofar as it fails as temporal, natural society ut sic. What will be unacceptable to the Christian is—and here we finally return to Augustine’s quote as we close these reflections—to stop merely at this point. One does not reform the world for the sake of the world but instead for the sake of the final end to which the human person is called—the Beatific Vision. Let us not, however, forget that this activity does not mean that time and nature are vacated, for it was human nature that was saved and is ultimately perfected ut natura by man’s supernatural participation in the Divine Life. The Augustinian formulation remains correct, for even the exigencies of the natural order are subordinated to that which stands “above nature.” However, the often Platonic bias underlying the Doctor of Grace can lead one to read him in a manner that quickly empties nature (and hence, the political as well) of its own teleology. Let us recall, however, that in the single person of Christ, there were two “natures” united: the human (natural) and the Divine (supernatural).